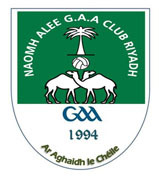 This year Naomh Alee GAA Club in Riyadh celebrates its 23rd year as an affiliated GAA club, the longest established GAA Club in the Middle East. Originally formed in 1994, Naomh Alee was an early Gaelic Games presence in the region and a pioneering force in the Gulf Games competitions in the early era. Initially established as a Hurling (and Camogie) club, it branched into Football as the expatriate population in the Kingdom grew. 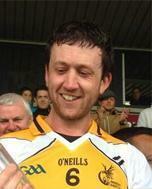 However, difficult years in the early part of the new Millennium saw the number of GAA players working in the Kingdom, or available to participate in our native codes, diminish significantly and threaten the very existence of Naomh Alee GAA Club. But, âthey never went awayâ and in the 2010/11 season, the club made a resurgent comeback on the field of play, this time as a predominantly âfootballâ club, but now sporting both a menâs and womenâs team. Today, Naomh Alee are active participants in the Middle East GAA League and Championships and proudly participated in the club competition at the inaugural GAA World Games in 2015. In 2013, the club established a burgeoning under-age section to develop Gaelic games among the younger Irish and non-Irish children in the Riyadh and wider districts of Arabia, with up to 65 young athletes training at group sessions every two weeks at the Naomh Alee DCU GAA Academy. Success for the lads and lasses of Riyadh in Middle East competitions in recent years ensures that GAA in Saudi Arabia remains buoyant, notwithstanding the often difficult training and meeting conditions within the Kingdom. And with the ongoing support of the Irish and ex-pat communities in Arabia and the Gulf region, we look forward to our third decade of GAA in Arabia. In the last two years, Naomh Alee played host to Aogan O Fearghail, an tUachtaran Cumann Luthcleas Gael, in the first ever visit of a GAA President to Saudi Arabia. In 2015, GAA icon Pat Spillane joined the Gaels of Riyadh, while 2017 promises âmuch to talk aboutâ as a prominent Derry born barrister becomes the latest GAA personality to visit the dunes of Arabia to add further momentum to the growth of the international game.